To trimmer has served faithfully for a long time, you must take a serious approach to its service. One of the important aspects of maintenance of the trimmer is the choice for engine oil. 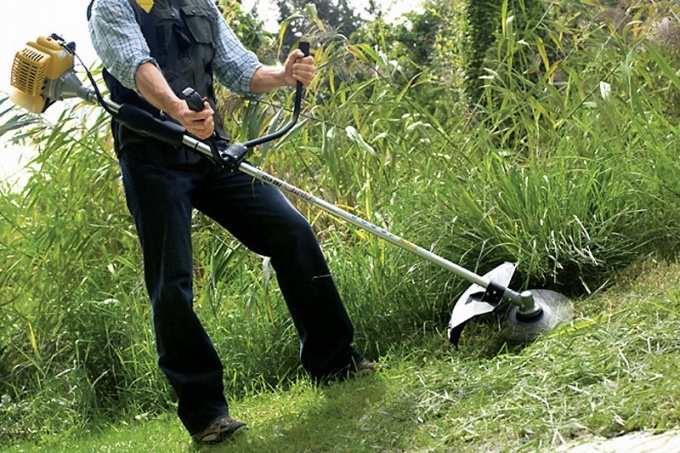 The trimmers have become indispensable in many home gardens. They are able to perform the functions of the whole complex of hand garden tools used for trimming grass, trimming bushes or trees, and even snow. Modern mechanisms are distinguished by reliability and a long service life, which also depends on applying the proper type of oil. The owners of petrol saws and such units will not have any problems with the service trimmer: oil for most two-stroke engines use the same. Most trimmers have two-stroke engine, which although is the simplest device, but still requires careful attention when servicing. For fueling of two-stroke engines use a mixture of gasoline and oil in certain proportions. It is this ratio plays a crucial role - it is necessary to clarify when buying a trimmer. As for oil, suitable for almost any lubricant marked 2T. Of course, manufacturers of expensive tool require the use of lubricants according to the established specifications, but for most trimmers suitable oil such as Mobil 2T+, Liqui Moly Motorrad 2T or Castrol Power1 Racing. The average portion of oil supplements - about 20 g per 1 liter, but over time, the amount of lubricant can be determined empirically by the presence of fouling and the degree of contamination of the carburettor. Four-stroke engines have a separate container for pouring oil. Such powertrains are more sensitive to quality of oil than two-stroke, although special problems with the maintenance of the trimmers with four-stroke engine should not occur. For low-cost trimmers are well suited to the range of oils Mannol Quad or ZIC 4T. The trimmers that are in operation more than three years, it is recommended to fill the oil with cleaning and regenerating additives. In this case, use XADO Atomic oil 4T containing a complex of additives and characterized by high viscosity is 10W60. In most cases, trimming to fit semi-synthetic oil of medium viscosity 10W40 from the middle price range. Do you need oil change? If the trimmer does not feel when working extreme loads, the life of the oil about comparable with the service life of the engine. Often only required monitoring of the level and timely topping up oil. However, the condition of lubricant in the engine from time to time monitored for darkening, the presence of suspended solids and other signs of aging. In these cases it is recommended to replace the oil completely.